An adjustable bracelet that features a row of diamonds, fitted with a bolo fastening. Simply adjust the fastening to the desired look and fit. 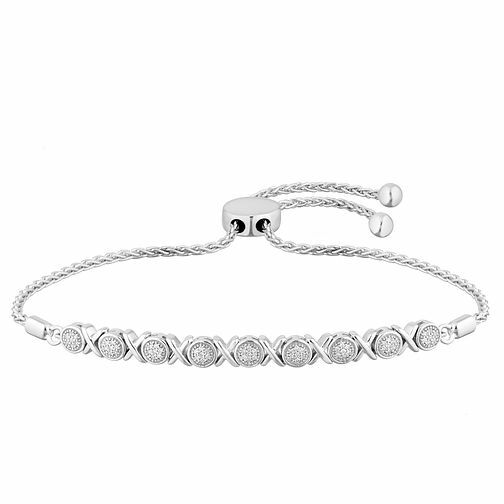 Sterling Silver Diamond Adjustable Bracelet is rated 5.0 out of 5 by 1.